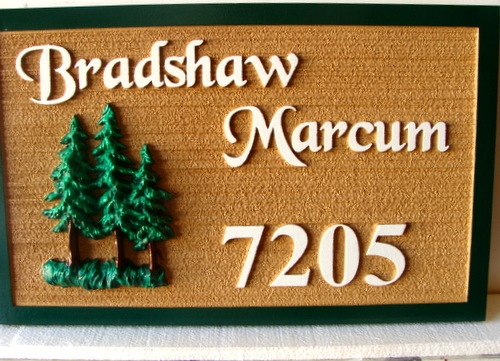 This HDU cabin address sign features 3-D carved fir trees, and raised text and borders. The background is sandblasted to achieve a wood grain pattern. This sign is made from HDU, but can also be made from wood. The sign can be mounted on a wall or fence, on a post or between two posts, or hung from a wood or iron hanger.